Voluntis creates digital companions that empower people to self-manage their treatment in remote collaboration with their health care teams. Dedicated to chronic conditions, Voluntis’ products aim to personalize treatment, support team-care coordination and improve real-world outcomes. Voluntis leverages its expertise in digitizing clinical algorithms and its Theraxium technology platform to design its companion solutions. These include Insulia and Diabeo in diabetes (with Sanofi), eCO in ovarian cancer (with AstraZeneca) and Zemy in breast cancer (with Roche). Voluntis is a founding member of DTA. 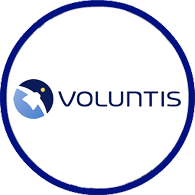 For more information, visit http://www.voluntis.com/.